time-series data normalization, cleaning, and standardization. Have the capability of reminding users to update the variables their tracking via push-notifications. Also help encourage decision making with reminders when the user strays from their optimal range or falls back into old habits. 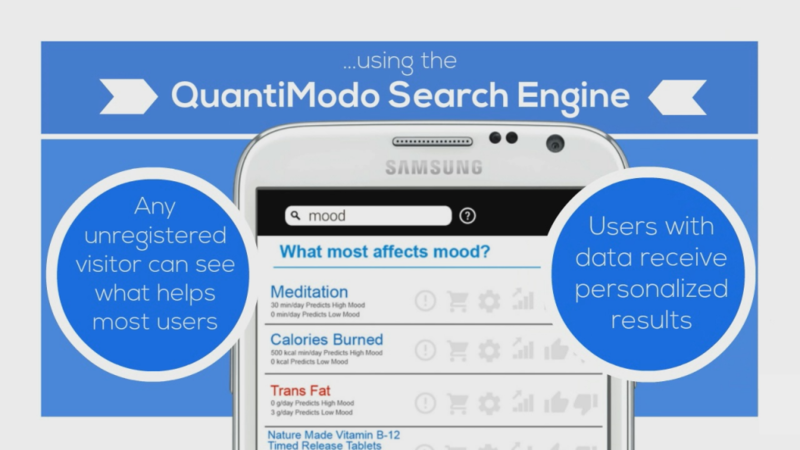 Aggregated user data is used to determine the factors that most influence any given aspect of health, powering the QM Search Engine. 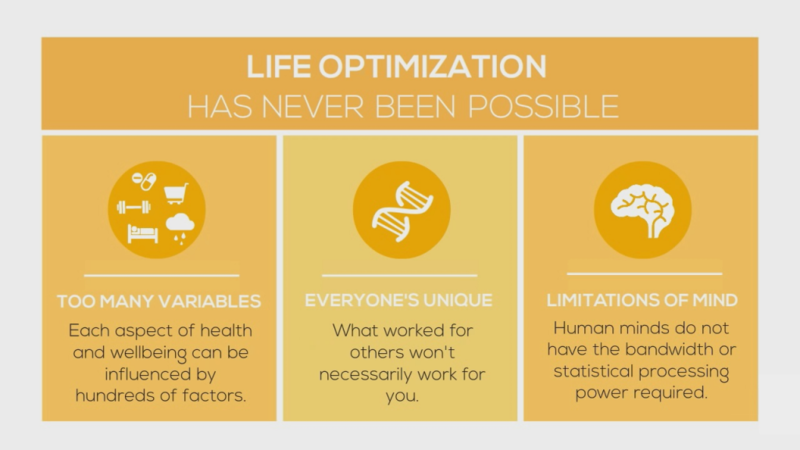 Anyone wanting to optimize any quantifiable aspect of their life is able to search and see a list of the products that are most effective at helping the average user achieve a particular health and wellness goal. For instance, if one wishes to improve one’s mood, go to our site and search for “mood”, where one is able to select from the list of products that most affect mood. 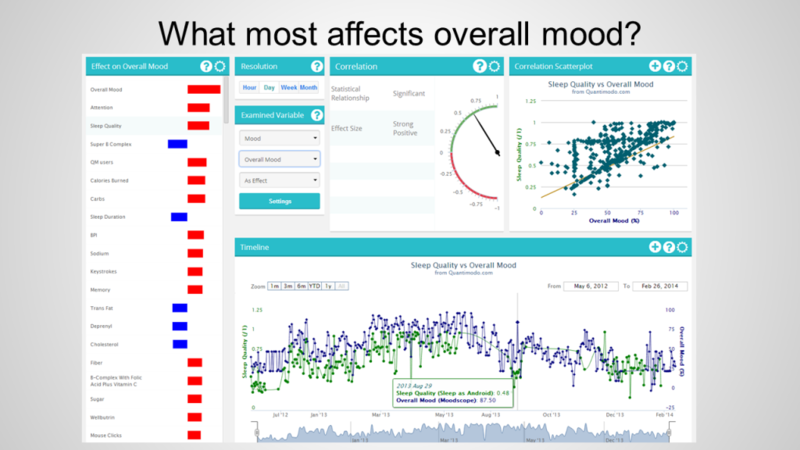 With the QM Analytics Dashboard, data streams can be combined and visually analyzed on a timeline to evaluate one’s progress over time and explore the data to find insights. 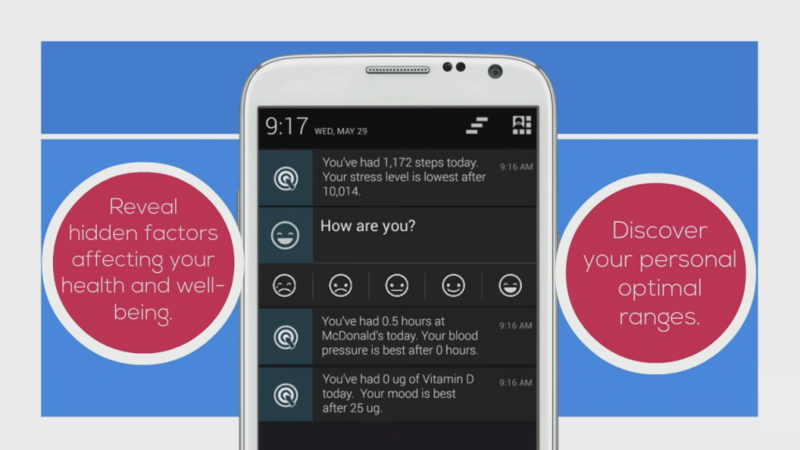 The user will be notified of ways they can improve their life via personalized real-time mobile notifications.